A Supreme Court bench of Justice AK Sikri and Justice Ashok Bhushan has dismissed a petition for an investigation into the death of former Maharashtra Anti-Terrorist Squad (ATS) chief Hemant Karkare, who was killed by Pakistani terrorists during the 2008 Mumbai attacks. “We can’t reopen this case now. The terrorist (Ajmal Kasab) was nabbed, death sentence against him was confirmed by the Apex Court. Execution has also taken place. Now you want that matter to be reopened. Dismissed,” the bench said. The bench was hearing a special leave petition filed by former Maharashtra IG SM Mushriff, though counsel K Krishna Kumar, alleging that Karkare was not killed by Pakistani terrorists Ajmal Kasab and Abu Ismail, but by the people who had conspired to kill him by taking advantage of the terrorist attack that had taken place on November 26, 2008. It rejected the arguments of Senior Advocate Indira Jaising, who appeared for Mushriff, that the petitioner has written two books on the same issue and was a retired senior police officer. 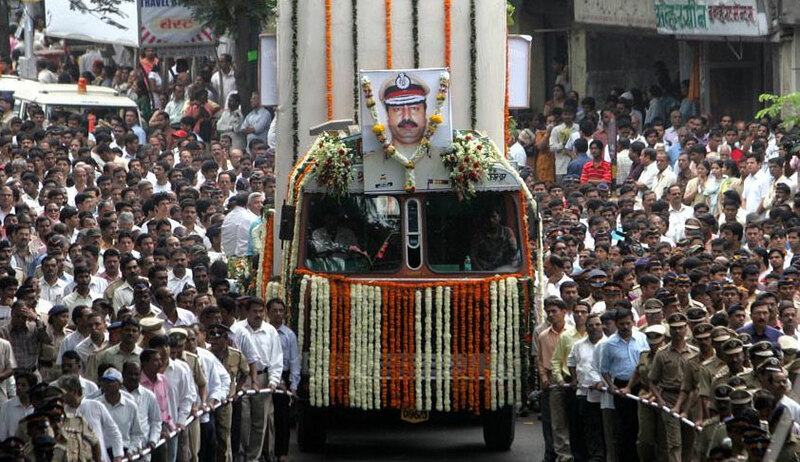 In January this year, the Bombay High Court had disposed of a petition in which it was alleged that the death of Karkare was a conspiracy and that it was not caused by the terrorists who had arrived in Mumbai from Pakistan and that the death had been caused by some other persons by hatching a conspiracy to cause his death by taking advantage of the terrorist attack that took place. The HC then had said “the PIL is pending since 2010...nothing survives in it...we cannot direct investigation…”, while dismissing the plea filed by Radhakant Yadav, a former MLA from Bihar who later passed away, seeking setting up of a special investigation team to probe this angle. According to the petition, Karkare had exposed an anti-national conspiracy in Malegaon blast case. ”Karkare had arrested the main conspirators like Lt. Col. Prasad Purohit, Mahant Dayanand Pandey, Sadhvi Pragyasingh Thakur and others… In the thorough and professional investigation of the Malegaon case by Karkare, the names of many prominent political and religious leaders conniving at the conspiracy and also the names of industrialist, builders, diamond merchants etc. who donated for this devilish cause, had been revealed and Karkare was only inches away from arresting some of them," it alleged. Karkare, along with senior police officials Ashok Kamte and Vijay Salaskar, were killed outside Cama Hospital in south Mumbai after Kasab and his partner Ismail opened fire at their police van during the terror attack in Mumbai on November 26, 2008.